Florida is surrounded by water: the Atlantic Ocean and Gulf of Mexico come to mind, of course. Thousands of miles of rivers and thousands of lakes also add to the Florida nautical inventory. With this much water, it's no wonder Florida has more than its fair share of waterfront restaurants. Here are a few that we enjoy. Just click on the photos for more info. 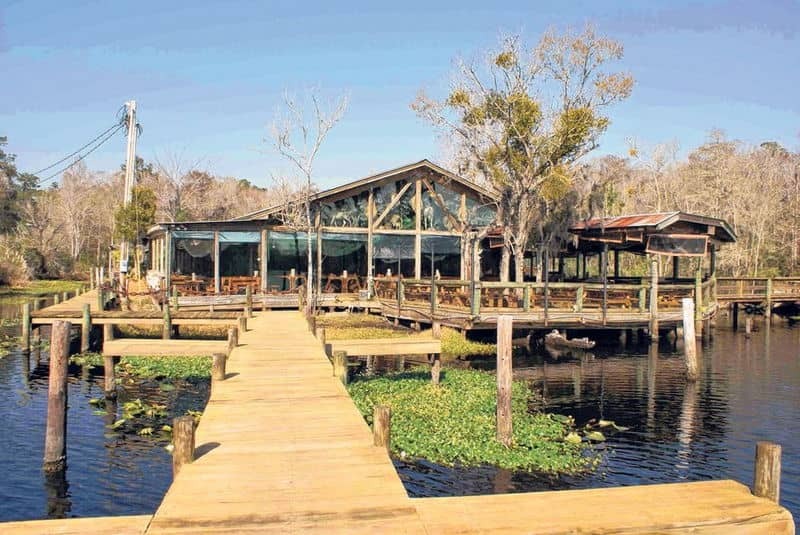 This restaurant in Mandarin is on Julington Creek just off the St. Johns River. The atmosphere is one of the attractions here, with what is reported to be the world's largest collection of private taxidermy. Click on photo for more. 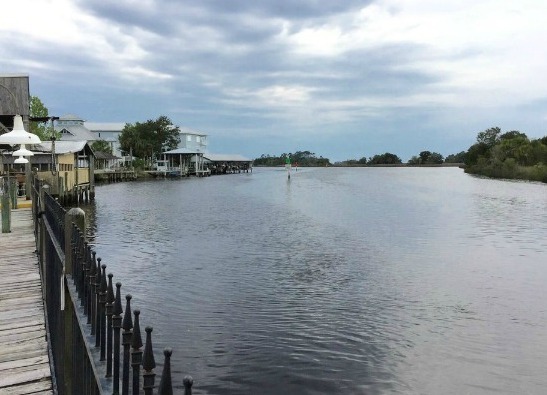 This comfortable restaurant on the St. Johns River is just east of historic downtown Palatka on the east end of the U.S. 17 bridge that crosses the St. Johns River. The seafood here is excellent and they have lots of inside and outside dining. Click on photo for more. 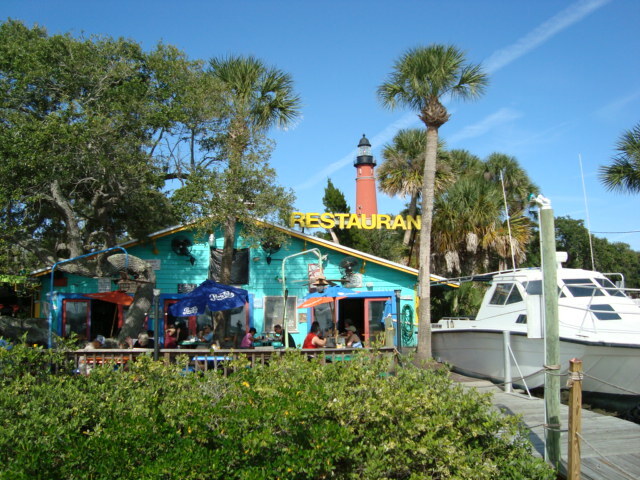 This gem is a hidden treasure with outside dining and a tiki bar in the shadow of the historic Ponce Inlet Lighthouse. It overlooks Ponce Inlet and is a great place to refresh and recharge after walking to the top of the lighthouse and soaking in the magnificent view. Click on photo for more. This Fort Pierce favorite over looks the city marina on the Indian River Lagoon. Almost every seat has a great viw of the boats that are berthed on both sides. 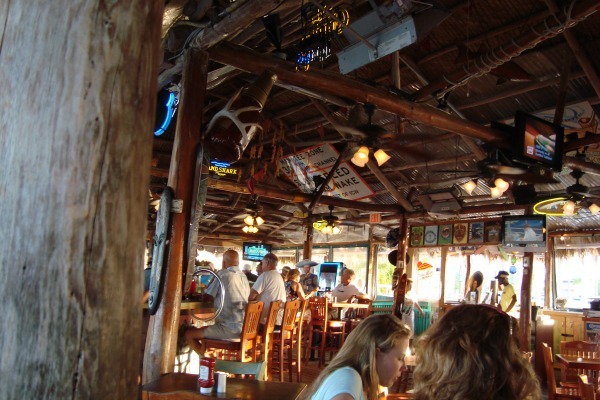 There are two bars that will remind you of Key West. Their seafood is great, especially the Conch chowher and the fish of the day prepared any way you like. Click on photo for more. This little place looks like a fish camp. 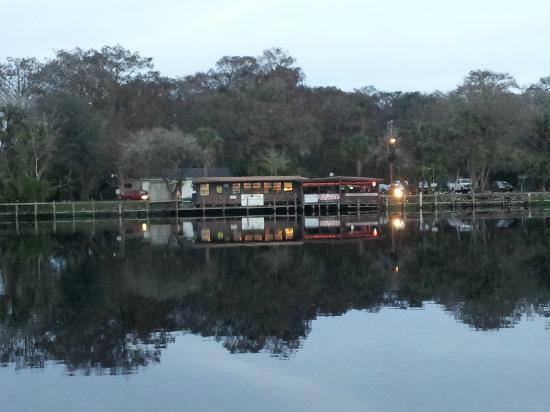 It is on the St. Johns River west of DeLand at the State Road 44 bridge. 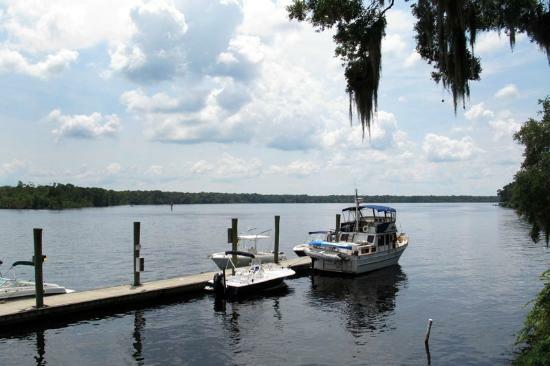 No matter if you sit inside or outside you will have a view of the St. Johns River flowing gently by. The food is okay, the service is good, but the view is magnificent. Click photo for more. 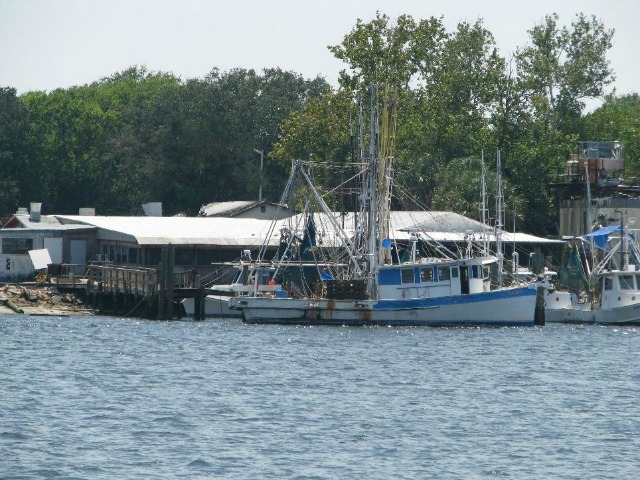 Mayport is a fishing village near the mouth of the St. Johns River east of Jacksonville. Singleton's is a traditional Old Florida establishment featured not long ago on Guy Fieri's television show Diners, Drive-Ins and Dives. Click on photo for more. The formal name of the Old Florida oceanfront diner is High Tides at Snack Jack. It is directly on the ocean just south of Flagler Beach. Every table and booth has an oceanfront view and the food is great. 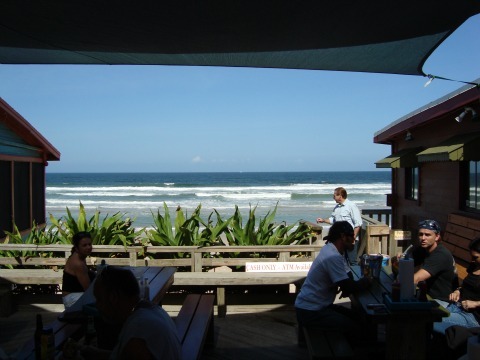 This is informal beach side dining at its best. Click on photo for more. Uncle Ernie's in Panama City overlooks St. Andrews marina, and has a very comfortable nautical atmosphere including old photos on the walls. The interior is very nautical and the seafood selections are delicious. Click on photo for more.